Wildflower season in Texas is right around the corner, and it’s one of the best times of the year for joyful photo shoots. Soon we will witness thousands of bluebonnets and their colorful kin lining the highways, filling fields and parks, across central Texas. 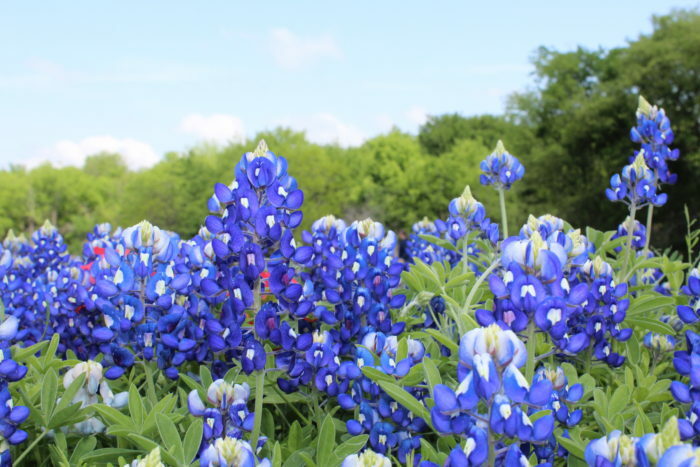 The fleeting nature of bluebonnet season, the vivid blues and purples of the blossoms, and the sheer multitudes of wildflowers in bloom all make for a perfect, seasonal photo shoot. Capturing loved ones frolicking or chilling out in a field of bluebonnets is as Texan as the state flower itself. Due to all of the rain we’ve had this year, 2019 looks to be an absolutely epic year for bluebonnets! In parts of the state, they are already starting to bloom. Peak season is typically in late March and early April. Most importantly, safety first. It is tempting, but not always safe, to pull over when you see a thick patch of bluebonnets on the side of I-35. But even a spontaneous photo shoot can be safe. Instead of stopping on a major thoroughfare, pull off of the main road and find a quiet place to park where cars aren’t whooshing by. Critter check: Ants or bees are the most likely neighbors to wildflowers, so always do a visual check of the area as you proceed into the bluebonnet field. While rare, a few folks have encountered snakes among bluebonnets. All the more reason to dress your subjects in adorable cowboy boots and long pants for extra protection. Bonus points for bringing something to sit on, like a camp chair or blanket. When planning a bluebonnet photo shoot, consider comfort. If you’re photographing your children, make sure they have eaten, and bring plenty of water or juice to stay hydrated. Hunger and thirst can lead to meltdowns, and make for less than ideal photos. The abundance of wildflowers is breathtakingly beautiful, but makes for a busy background. Solid clothing colors that complement nature’s hues make for the best results. We’ve seen neutral colors, like white or light blue, or colors that contrast gently, like yellow, turn out well. Avoid the squinting syndrome. Try to avoid midday sun, which makes squinting inevitable. Check your angle, with the sun off to the side or behind your subjects to capture happy, non-squinty faces. The golden hour: They call it this for good reason. The flattering lighting within an hour or so after sunrise, or before sunset, makes for ideal lighting. And better lighting makes for better photographs. In a banner year like this one is predicted to be, most areas of Texas Hill Country should reveal small to large patches of wildflowers. 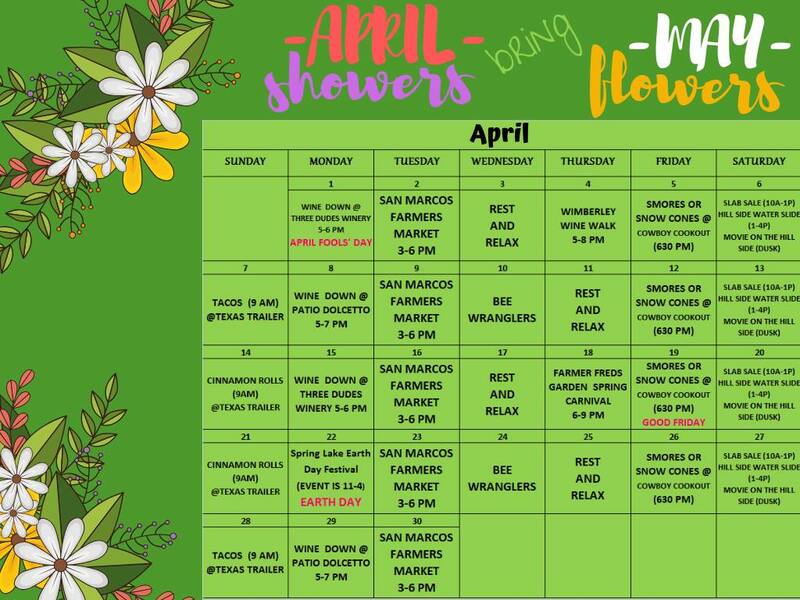 San Marcos is no exception. But because most of our local parks are well traversed, you may find more bluebonnets a short drive away. Some regions are better known for dramatic bluebonnet fields than others. The following are some of the best places to find your ideal bluebonnet field of dreams, according to local lore. 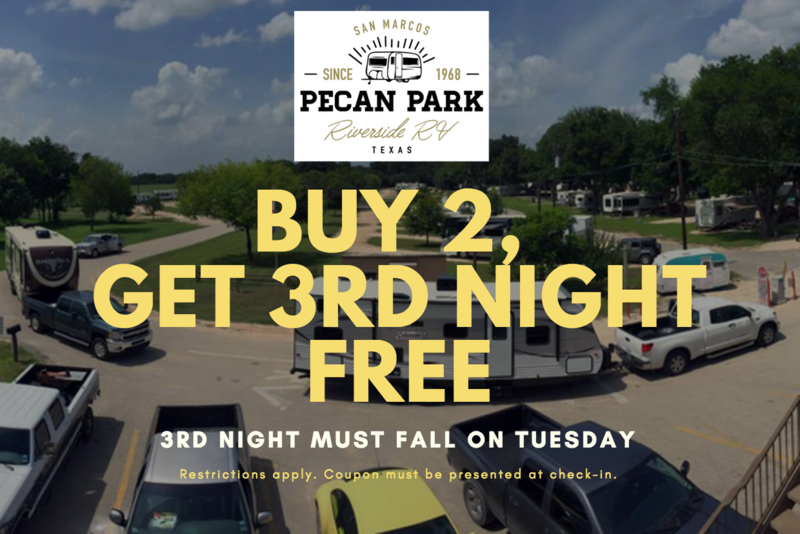 Willow City Loop: Located outside of Fredericksburg off of RR1323, Willow City Loop is a scenic drive filled with of bluebonnets and other Texas wildflowers. Please note this is a private road, so be considerate of land owners and residents. Photos are allowed unless otherwise noted, but tread gently. Muleshoe Bend Recreation Area: This scenic spot in Spicewood has a 6.5-mile trail through it for hiking, mountain biking, or meandering. It tends to be an excellent spot for bluebonnets! St. Edward’s University campus: St. Edward’s in south Austin consistently appears on lists of the best spots to take bluebonnet pictures. Wildseed Farms: This Fredericksburg farm has cultivated wildflowers for 35 years for their seeds. Wildseed Farms is free to visit, though they ask that photos be taken on the trails rather than in the actual wildflower fields. Lady Bird Johnson Wildflower Center: “The Botanic Garden of Texas” is a research facility in Austin. 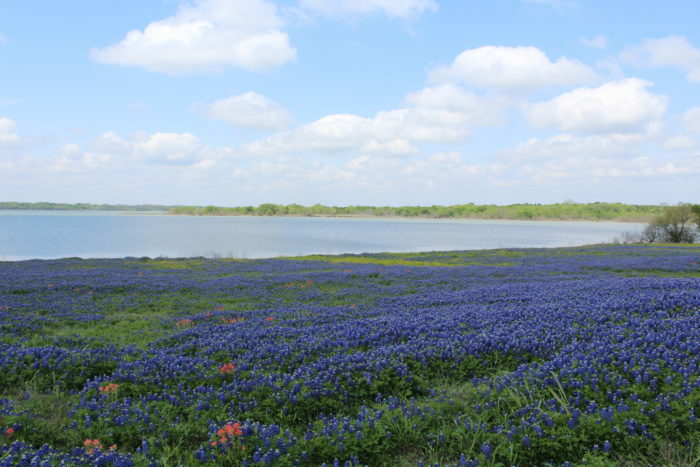 It’s a beautiful spot to see wildflowers in season, take a class, and learn more about Texas native plants. Entry costs $12 per adult and $6 per child. 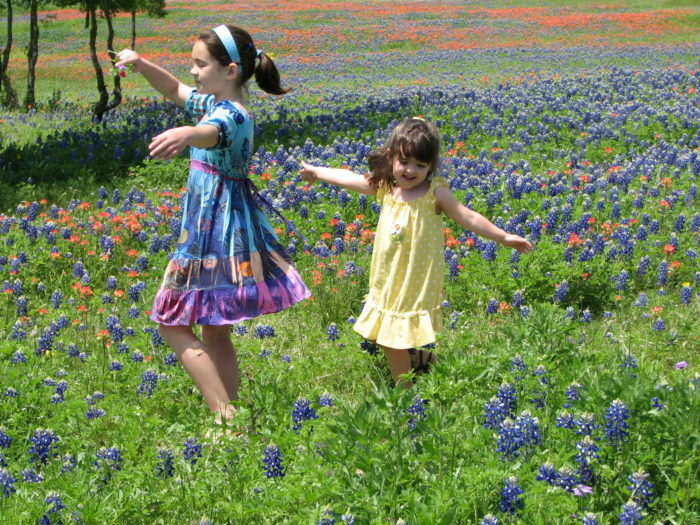 We love our Texas State Flower, the bluebonnet, and we love making memories by photographing them. 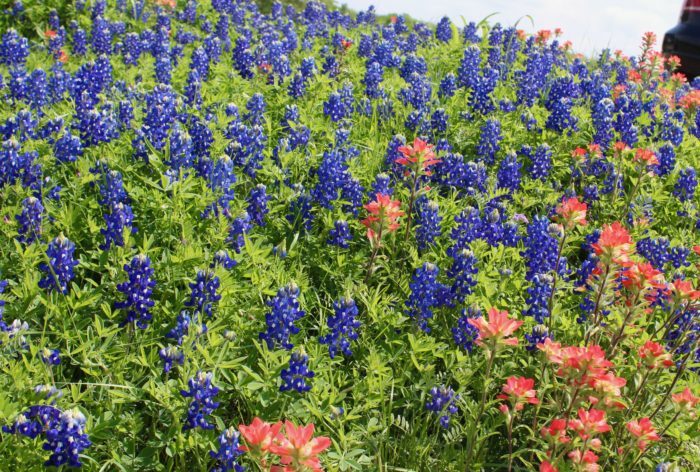 One final note: while it isn’t illegal to pick bluebonnets on public land, it is discouraged. The more bluebonnets that live through the season to go to seed, the more we will have to enjoy the following year! Happy bluebonnet hunting!